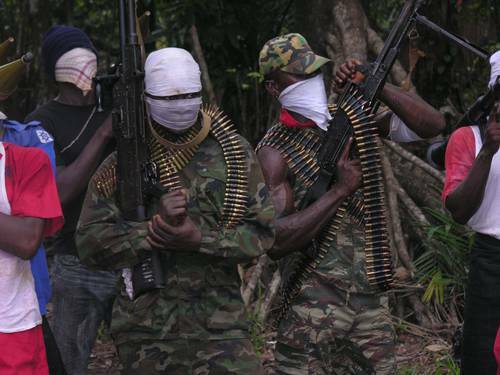 A coalition of Niger Delta militant groups has on Thursday ordered all northerners out of the region before the 1st of October, 2017, Daily Trust reports. The militant groups, under the aegis of the Coalition of Niger Delta Agitators, has complained that none of the leaders of the northern groups who issued a statement ordering Igbos out of the north has been apprehended, despite the call for their arrest. Signatories to the statement include John Duku (Niger Delta Watchdogs), Ekpo Ekpo (Niger Delta Volunteers), Osarolor Nedam (Niger Delta Warriors), Okon Etete (Niger Delta Peoples Fighters), Asukwo Henshaw (Bakassi Freedom Fighters), Ibinabo Horsfall (Niger Delta Movement for Justice), Duke Emmanson (Niger Delta Fighters Network), Inibeghe Adams (Niger Delta Freedom Mandate), and Ibinabo Tariah (Niger Delta Development Network). This is coming after the coalition had on last week Friday ordered the Federal Government to handover all oil blocs owned by the northerners to Niger Delta indigenes. All northerners living in the Niger Delta have been given three-month notice to quit the Niger Delta before October 1, 2017. We still stand by our previous decisions and we demand the immediate return of the oil blocs owned by northerners to Niger Delta people. All oil and gas companies operating in oil bloc(s)/well(s) illegally owned by northerners should also vacate such oil blocs/wells/platforms before October 1, 2017.